The Chart of Accounts is a listing of account names and allocated (by the business) account numbers. The main purpose of the Sales Distribution Journal is to record the details of sales. The main purpose of the Purchase Distribution Journal is to record the details of purchases. Summary book used to record all receipt information. Summary book used to record all purchase information. The cash book is a combined Cash Receipts and Cash Payments Journal. A daily record of business transactions. A cost that does not change. A cost that is changeable in proportion to changes in activity. A cost that is partly fixed and variable. The amount of revenue minus all variable costs and expenses. The amount of fixed costs divided by the contribution margin . The amount that sales can decline and the business will break even. The ledger containing all financial accounts of the business. An increase in the amount of assets, expenses and losses and a decrease in the amount of liabilities, owner’s equity and revenue. A trial of all debits and credits with a disagreement indicating an error. The financial value of total assets. The accounting concept that includes debits and credits having an opposite effect on one another. An increase in the amount of revenue, liabilities, owner’s equity and gains and a decrease in assets and expenses. A financial statement showing the income earned over a particular time period. The reduction of an asset over a particular time period. An account with the opposite balance to the normal account. The cost owed by the business to its creditors. An Australian tax of 10% on most goods and services. The total amount of money earned by an employee before deductions. A record of the details of a control account in the general ledger. The cost owed to the business by its debtors. The GST amount owed to the Australian Taxation Office by the business. A portion of money earned by an employee deducted by the employer. Accounts that are closed at the end of the year to begin again with a zero balance. An accessible amount of money kept by the business to spend on small items. The GST amount owed by the Australian Taxation Office to the business. A rise in Owner’s Equity from something other than the business’s day to day operations. Entries made to transfer the balance from temporary accounts to owner’s equity. A list of items owned by the business such as property, goods in stock etc. The continuous record of inventory using a Cost of Goods Sold account. A drop in Owner’s Equity from something other than the business’s day to day operations. The method of matching all revenue with expenses over the same accounting period. The value of goods sold during a particular time frame. For use when a continuous record of inventory is not needed and the inventory value is only recorded. Profit earned after deducting operating expenses. Activities related to net income. The production of financial accounts and records of the business. The T Format can be used when balancing the general ledger, it has an obvious T shape with debits recorded on the left and credits recorded on the right. Profit earned through means other than normal business operations. Activities related to long-term assets. A detailed account of assets, liabilities and capital of the business during a particular time frame. The Columnar Format can be used when balancing the general ledger, recording the debit, credit and balance in three consecutive columns. A statement of all cash inflows including operating income and non-operating income. Activities related to long-term liabilities and owner’s equity (other than net income). The method of having an allowance when doubtful accounts are anticipated. Amount earned by the business for its original issues of shares in common and preferred stock. The total earnings of the business since inception minus total declared dividends. Changes in ownership interest minus owner investments and distributions. Distribution of cash to business’s stock holders. An Owner’s Equity record stating the par value of soon to be issued shares from the result of a stock dividend. A contra asset account with details of an estimated amount of accounts receivable that may not be collected. The method of having no allowance account, meaning Bad Debts Expense is debited and Accounts Receivable is credited. Distribution of additional shares to business’s stock holders. The date of a declared dividend. Earnings, proceeds or takings from business operations. An action resulting from the allowance method in which bad debts is debited for a percentage of credit sales and the allowance for doubtful accounts is credited. An action resulting from the allowance method in which the balance of the allowance for doubtful accounts is adjusted by an estimated percentage of the accounts receivable and debited to bad debts expense. A current liability due to the business’s directors declaring a cash dividend. The date which announces which stockholders will receive a dividend. The amount the owners have invested in the business. Current assets and liabilities will be used or paid within the next 12 months while non-current assets and liabilities will last longer than a 12 month period. A record of the accounts receivable sorted by the sales invoice date. The collection of an accounts receivable previously written off. The division of existing shares into multiple shares. Recorded cheques not yet cleared by the bank. Receipts not yet recorded on the bank statement. Finalised balances per book or per bank statement after taking into consideration any needed deductions. Savings accounts and records of deposit. The amount of outstanding cheques. A document containing the details of a particular order. A document stating goods have been received. A discount on the recommended retail price that varies with volume. A discount given to a purchaser when paid within a specific time frame. Amount payable within 30 days of invoice date. A reduction by 2% of the invoice if the amount is remitted within 10 days of the invoice date. The accounting and financial information of the business is always conducted separately to the owner’s personal financial information. The business time periods are broken into equal parts of at least 1 year. Accounts and financial statements are prepared under the assumption that the business will continue indefinitely. (cash plus marketable securities plus accounts receivable) divided by current liabilities (same as Qrt: Quick Ratio). All transactions and events are recorded in Australian dollars and cents. (cash plus marketable securities plus accounts receivable) divided by current liabilities (same as Atrt: Acid-test Ratio). The assumption that the buying capacity of a dollar is the same in the past and present. Credit sales divided by accounts receivable average balance over the same time period. Recognising that laws affecting the business and accounts are to be followed. Net sales divided by assets average balance over the same time period. 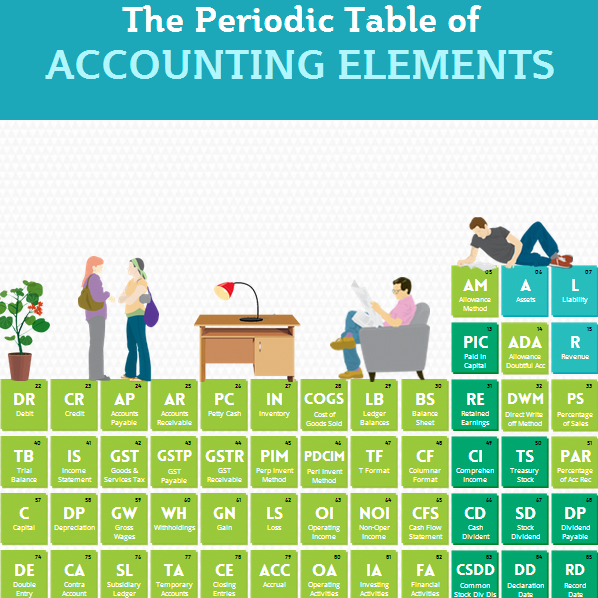 The accounting techniques used should remain the same over each accounting period. Cost of goods sold balance divided by inventory average balance. The accounts should contain information that ensures the owner understands the financial position of the business. 360 or 365 days divided by receivables turnover ratio. The significance of an amount depends on the size of the business and the importance of the item being considered. 360 or 365 days divided by inventory turnover ratio. When there is uncertainty over results to be reported, the preference is always to understate profit results rather than overstate them. Net cash inflow due to operating activities minus capital expenditures. Generally Accepted Accounting Principles and accounting standards, including industry practices. Income prior to interest and income tax expense divided by interest expense. The unique reporting requirements of the business. Allows readers to liken different business’s financial statements. Gross margin divided by net sales. Net income divided by assets average during the period. May make a significant difference to a decision-maker. Net income divided by owner’s equity average during the period. valuable components of the accounting system. Department is that everybody counts!